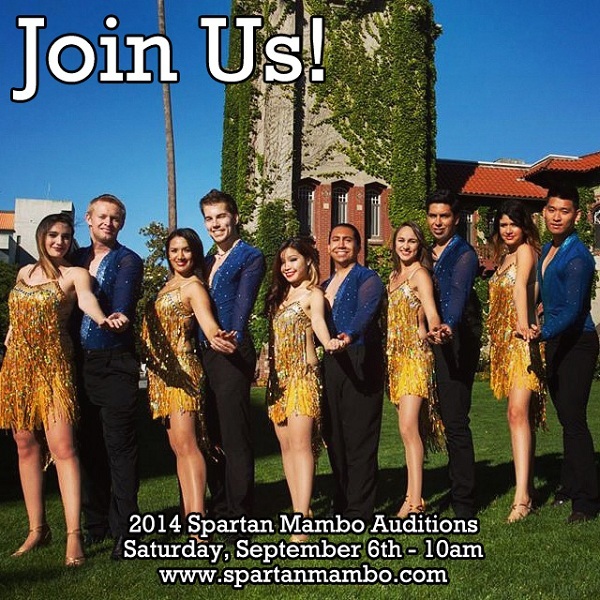 We have the date for the Fall 2014 auditions for Spartan Mambo! The auditions this semester will be held on Saturday, September 6th at 10am at the aerobics room in the Event Center! We will go through a quick warm-up followed by some footwork and partnerwork choreography. For full audition details and to RSVP for the event, please see the Event Facebook page.